A new website with all the professionals you need to make your wedding in beautiful County Donegal on the north west coast of Ireland perfect. We will be adding a FORUM very soon where you (and your intended) can come and share your experiences, knowledge and thoughts and engage with others and swap notes. 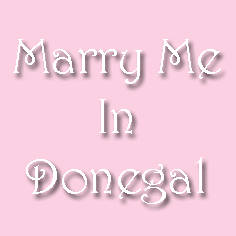 Our site will also include ALL you need to know about the legalities you need to know about getting married in Donegal (and Ireland).